We are all aging. The quality and length of aging is dependent on the foundation we started with, where we came from, where we began our lives. With certainty, we awaken each morning knowing the earth continues to rotate around the axis turning counter clockwise. The sun rises and sets each day. Each day new, never identical to the last. As a winegrower, our wines are crafted to age. With confidence, to age as one does each day is gaining a deep, well deserved wrinkle and glistening gray hair which is much like a saga versus a single word. It's time now to sit down and listen to our saga. At Garden Creek, we believe in producing the greatest, most thought provoking wine we are capable of from our land in Alexander Valley, Sonoma County. We believe in typicity, crafting wines of varietal character. The geology of Garden Creek located on hillside land at the base of the Mayacama mountain is complex accompanied by the climatic parameters of rainfall, relative humidity, temperature and hours of sunshine. Our long summer days of great warmth and cool nights lends to dynamically prolific concentration of flavors and intense acidity. Diurnal shifts of 50°F differences from day to night is crucial. Place is everything in crafting a wine to age. Producing wines capable of aging has been our concept since inception at our winery since 2001. Our determination lies in the grand depths reached in our wines in both the Garden Creek Chardonnay and Garden Creek Tesserae, Proprietary Bordeaux Blend with a backbone of Cabernet Sauvignon . The concept of aging begins in the vineyard achieved by strict sustainable viticulture practices, our crop sizes are small allowing for optimal varietal character and phenolic development while maintaining desirable acidity structure, not allowing one to take over the other. Vines, like people decline in vigor as they age. As our vines are 39 years old and more, the complexity prevails. There is a strict balance between canopy size, buds per cane and eventually size of the clusters. Older vines do equate to lower yields. As it is known 90% of the quality of a wine comes from the fruit. Our hands have been tending our vines since inception. At Garden Creek we grow 11 clones of Chardonnay which is intended to give us a large array of choice in flavors and acidity selection in this noble wine grape. Acidity and phenolic structure in each clone are closely analyzed until the selection is made in the vineyard. Triage is made in the vineyard at first pass. Each vintage of Chardonnay is produced by selecting the lots by clones and dictated by the soil beneath. 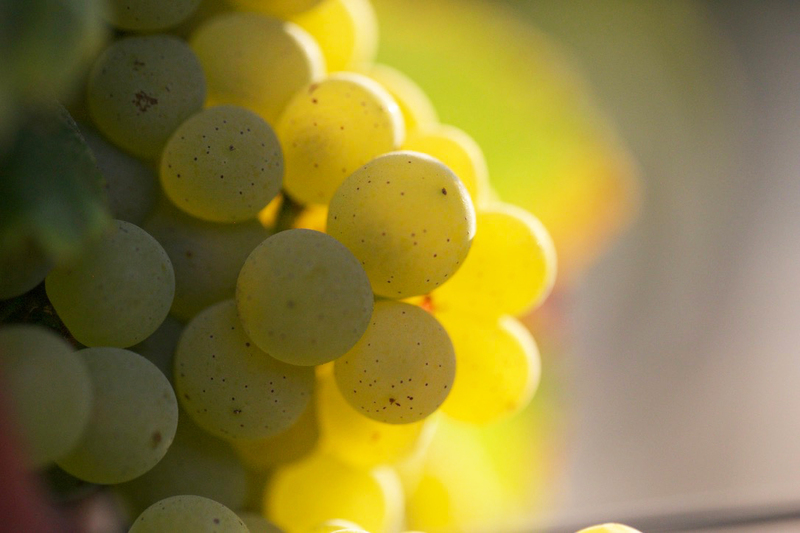 To age Chardonnay, a white wine’s ageability relies primarily on its acidity and the evidence of tannin in the winemaking process. Each act as preservatives in the wine. Acidity in a wine acts as a natural preservative and refers to the natural citric acid level evident in the grapes at the time of harvest. Acidity allows a wine to endure time in the bottle thus aging. Tannins from oak barrels yet we also allow for carbonic maceration prior to fermentation to allow for extraction of tannins from stems, seeds and skins at a very cool temperature. Our oak barrel regime is more used oak than new to allow less new oak yet enough for the purpose of creating structure and longevity again allowing for better aging. With carefully selected slow-fermenting yeast, we inoculate allowing for phenolic structure to develop while preserving the acidity structure. With 5 lots per vintage, we focus individuality while understanding the whole. Barrel fermentation and aging. A well-crafted wine continues to develop over time. Its personality evolves in a way that leads to increased aromatic complexity and texture. When stored properly in the ideal cellared environment, a fine wine will age gracefully while becoming more elegant and harmonious. Our commitment to aging wines which are both approachable and ageable requires exquisite care in selecting not only our barrels which are elegant handmade French barrels from both Latour and Sirugue for the Chardonnay, but also the finest tightest grain corks from Portugal, perfect glass bottles from France while allowing for patience to cellar the wines before release. With great respect we believe these components define our signature in crafting purity, balance, and complexity. Wines that stop you for a moment with an epiphany, that moment you experience beauty, each piece intricately understood to give a place of balance, long lingering, simply delightful flavors and texture. As winemakers, we continually seek our greatest ideals in crafting timeless wines to age with grace, sophistication and intelligence. While patience is our greatest asset. A week ago we released our first vintage ever made by Justin and I and never released before this time, a 19-year old wine to our highest level member with access to our library wines, the Inner Circle. The 2001 Garden Creek Tesserae, Proprietary Bordeaux Blend is a timeless wine. How do we feel, you may ask? A great part of us is in this bottle, our dreams and aspirations to be winemakers as husband and wife. This too is not the end of our saga. I can say, we have only just begun.